We are a vibrant Lodge with about fifty members spread over a wide age range. Most live in and around Chichester but some hail from much farther afield. There is an eclectic mix of occupations and among our number can be counted many professionals, builders, engineers, police, businessmen, self employed contractors, consultants and so on; some active and some retired. You will always find a friend who speaks your language! It is an exceptionally happy, relaxed Lodge with our own traditions and we are very proud of this. This is a little complicated, so please bear with us! 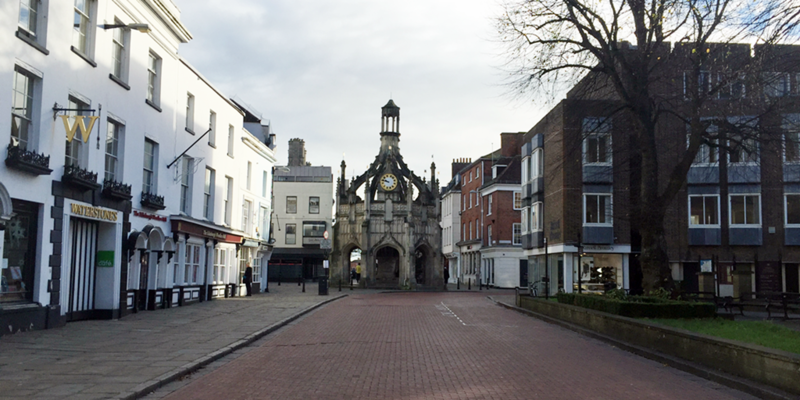 When this Lodge commenced in the early 1800s, two separate Lodges came into being, having somewhat disjointed roots in Chichester that stretch right back into the 1600s. They were named ‘Lodge of Friendship’ and ‘Lodge of Harmony’. Those two Lodges each adhered respectively to the two different Grand Lodges then operating in London – the ‘Premier Grand Lodge’ or ‘Moderns’, said to have commenced in 1717 and the ‘Antients’ Grand Lodge that was founded about 1751 by Irish immigrants. 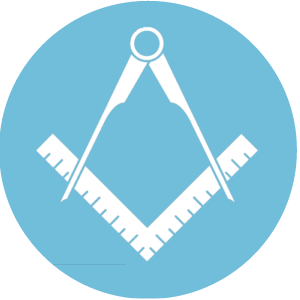 Our Lodge of Friendship (Moderns) commenced in 1811 and Lodge of Harmony (Antients) in 1812. Eventually, after much wrangling, they joined together in 1828 to form the present Lodge of Union. Meanwhile in London, the two Grand Lodges had already united in 1813 into the present United Grand Lodge of England. 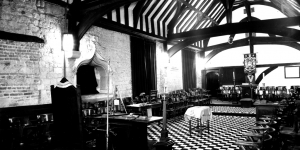 There was a great deal of shaking down in the early years, since our two Lodges had previously been used to running their meetings in two different ways. So the minuted records show several attempts of dealing with this, that and the other matter of procedure; often changing their minds between successive meetings. In this regard we need to remember that communication with ‘headquarters’ in London was virtually non-existent, so they quite literally had to make things up ‘on the hoof’! Many of the members, both before the unification and after, were the young men about town, setting up their businesses and well occupied in being ‘pillars of the community’. Names such as Raper, Wyatt, Doman, Wannop, Acford, Cover, Pine, Purchase, Whitehead, Ballard, Lillywhite, Shippam and many others are of current or recent memory, never omitting the active commitment of several of the Dukes of Richmond and their sons over the years. During this time, various meeting places have been used, some no longer exist, some have changed out of all recognition and some are still with us. They include The Dolphin, City Council Chamber, The Swan (where the NatWest Bank is now), The White Horse (was in East Street), Vicar’s Hall (Cathedral Close), a purpose-built Masonic Hall (now a house immediately to the South of St John’s in St John’s Street), The Three Tuns (was in Upper West Lane – now Chapel Street), an indoor tennis court in The Hornet (later Rowe’s garage and now redeveloped into housing). The Lodge now meets at Pallant Suite in South Pallant. The warrant for the Lodge of Union (and every Lodge must have a warrant in order to be regular) was issued by the United Grand Lodge of England in 1828 not as a normal ‘warrant of constitution’ for a new Lodge but as a ‘Warrant of consolidation and continuation’. Consolidation of the two previous warranted Lodges, ‘Friendship’ and ‘Harmony and St Rocques Hill’ and continuation of the latter named Ancients Lodge which was constituted in 1812.
in 2012 at Goodwood House. We intend to continue much as in the past, building on our strengths to attract men of appropriate moral fibre, who have a thirst for knowledge, would like to join in our traditions and who wish to be useful to mankind generally.